Dubai has more than 300 flights per day in its airports and businesses with title Travel agency need a modern accounting software to manage their translations and cash flow very well. You can use iGreen accounting for your travel agency in Dubai to record tickets, travel tours, issuance of UAE visa and other countries. 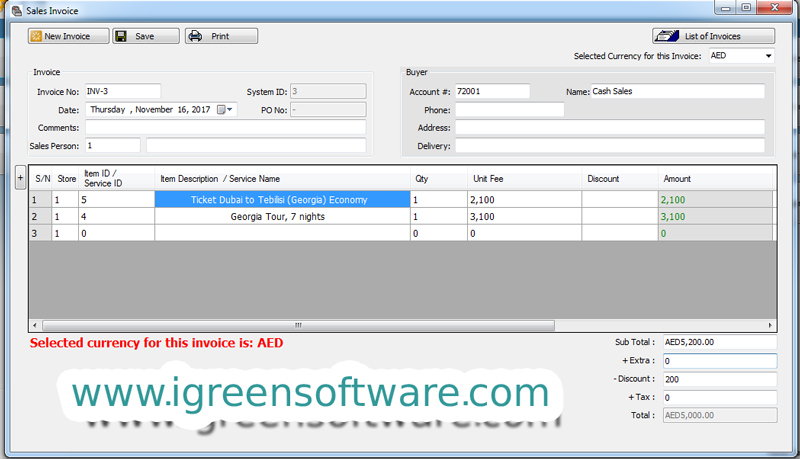 iGreen software could be used as travel agency management software and as you see you can add both products and services in sales invoices in iGreen accounting. so that you don’t need separate invoices for items and services and it will save your times and make it more accurate data entry.